Lot Size - 12,359 sq. ft. Dwelling - 2,300 sq. ft. 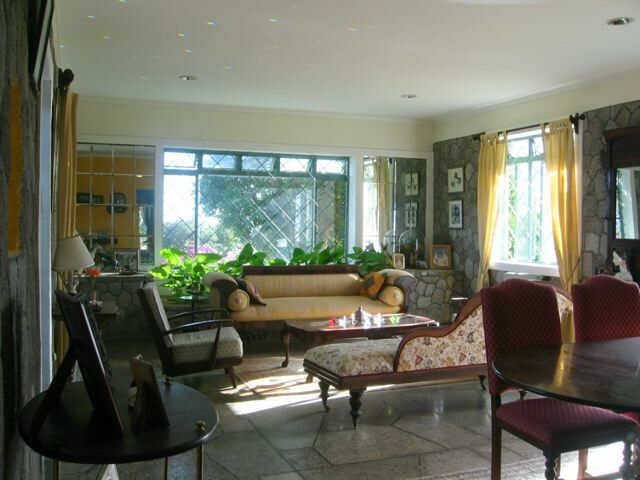 This 50's style older home located in Fortlands, a quiet residential neighbourhood which is the home of a number of official residences such as Governor of Central Bank, Italian Consul etc features beautiful stone walls and terrazzo floors and provides quiet elegance and comfort whilst enjoying views of Basseterre and beyond from the mature gardens and pergola. 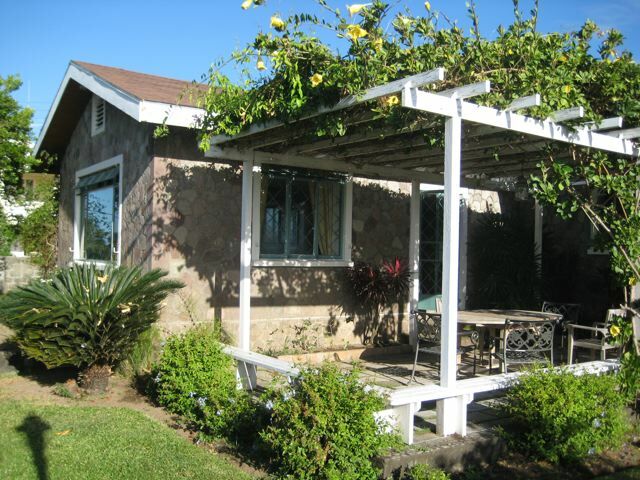 The main house which is accessed via an electronic gated driveway, showcases exposed stone walls in the living room and two comfortable bedrooms each with bathrooms, both of which are air conditioned and have ceiling fans. The kitchen is functional and features all the necessities. 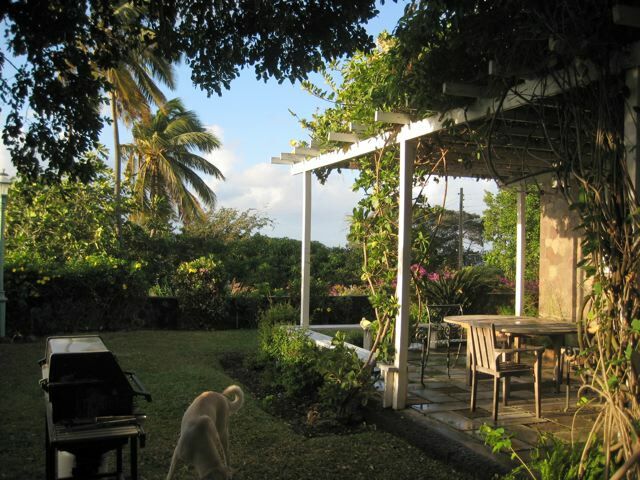 The mature gardens with a variety of fruit trees such as guava, mango, golden apple, sour orange and sapodilla to name a few are a delight and the pergola offers a respite for peaceful enjoyment of the harbour of Basseterre both during the day as well as in the evenings. 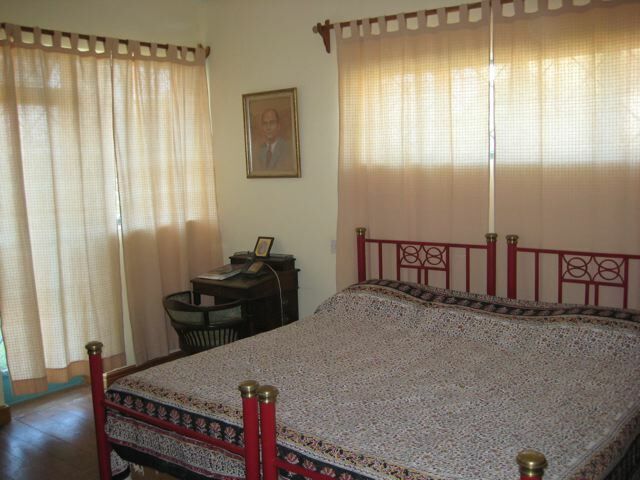 A separate town house offers self catering accommodation for house guests or the option of rental income.